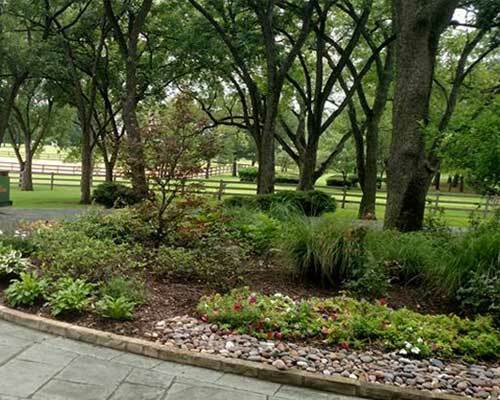 Tree & Shrub Care - Gro-Pro Horticulture Services, Inc.
Gro-Pro Horticulture Services, Inc. has an innovative approach to their tree and shrub care programs. When properly cared for, your trees and shrubs are an asset that can increase and enhance the overall beauty and value of your property. Don’t risk the health and longevity of your trees and shrubs. Partner with Gro-Pro for a service program that keeps your plants lush and lovely all year long! At Gro-Pro, we know that your trees, shrubs, and ornamental landscapes have different needs than your lawn and turf. We use a mix of soil-injected liquid with a customized formulated, balanced fertilizer consisting of nitrogen, micro-nutrients and a systemic insecticide. This will encourage strong roots and canopy growth. It will also help with all flowering trees and shrubs. Gro-Pro’s tree and shrub program is specially designed to help your landscape plants achieve optimal beauty and growth potential. Our fertilization process utilizes a soil-injected liquid treatment for larger trees and shrubs and granular matter for shallow rooted plants and ground covers. 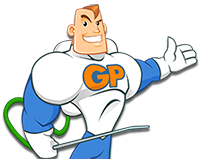 Gro-Pro will carefully evaluate your property to provide specific needs. At Gro-Pro, we take a proactive approach by applying preventative and curative insect control applications to ensure that your shrubs and trees health will be long term. Gro-Pro will develop a customized tree and shrub program approach that fights off diseases, increases drought resistance, and promotes new growth throughout your lawn, beds, and gardens. We’ll perform an onsite assessment to identify the most significant risks and threats to your plantings. Gro-Pro’s technicians understand that every property has its own unique needs. Most importantly, Gro-Pro will continue to customize our treatment of your property with every visit. Our applications may be changed based on climatic and agronomic conditions to best suit the needs of your trees and shrubs. Gro-Pro’s agile approach to landscape care is just one of the many ways we stand apart from the competition and deliver the best results possible to our clients. Partner with Gro-Pro to revitalize your plantings and ground coverings. Contact us today for a free property consultation.